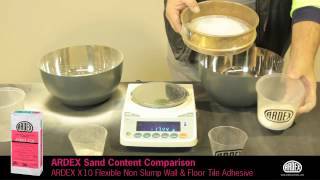 Flexible Non-Slump Wall and Floor Tile Adhesive, ARDEX X 10 is a white polymer fortified cement-based tile adhesive that has been specially formulated with mastic type properties. 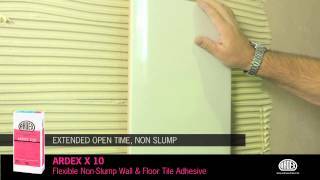 ARDEX X 10 has an extended open time, is non slump and flexible. For use in residential, commercial and industrial applications.